In writing about art and artist on a daily basis, I've come to realize that there is a definite deficit in my depiction three-dimensional art. It's not that I dislike sculpture or sculptors; I love being able to walk around museum pieces, viewing them from all sides as I hunt for where the hell the curators put the damned titling label. I've always felt it should be on the pedestal, perhaps all four sides of the pedestal. At worst, it should be on the floor at the base of the pedestal. Instead, very often, it's somewhere on a wall clear way the hell across the room from the piece it proclaims. I hate it when they do that. In any case, I think maybe one reason I don't discuss sculpture as much as I should is that there is so little carved sculpture being done today. It's all additive...clever perhaps, meaningful (if you put a little effort in making it so), and even beautiful. But to me though, that's a construction. I know, technically, additive or subtractive (carved), it's all sculpture, but I'm just enough of a "stick-in-the-mud" admirer of Michelangelo, Bernini, Canova, Rodin, and Lambert-Sigisbert Adam to consider their talents superior to those artists dedicated to assemblage as invented by Picasso barely a hundred years ago. If you choked on the final name in my "much admired" list, you're probably not French, probably not big on sculpture in any case, and probably never visited Versailles. As part of my homework before visiting France next spring I'm brushing up on all things French so as to know which wine to order with croissants. In speaking of any French sculptor named Adam, it's easy to get confused. 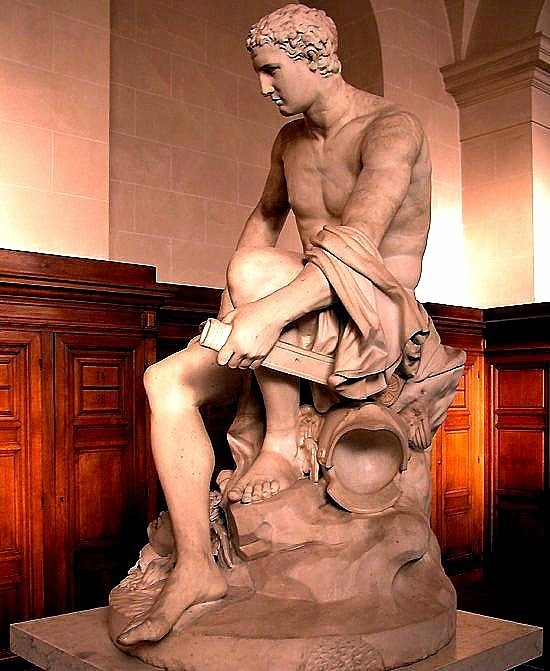 Lambert is referred to as l’aîné (the elder) to differentiate him from his two younger sculpting brothers, Nicolas, known as "the younger", and François Gaspard Balthazar Adam (perhaps called "the youngest"). Their father, Jacob-Sigisbert Adam was also a sculptor but for some strange reason didn't rate being called "the elder" as would be the case in most such circumstances. 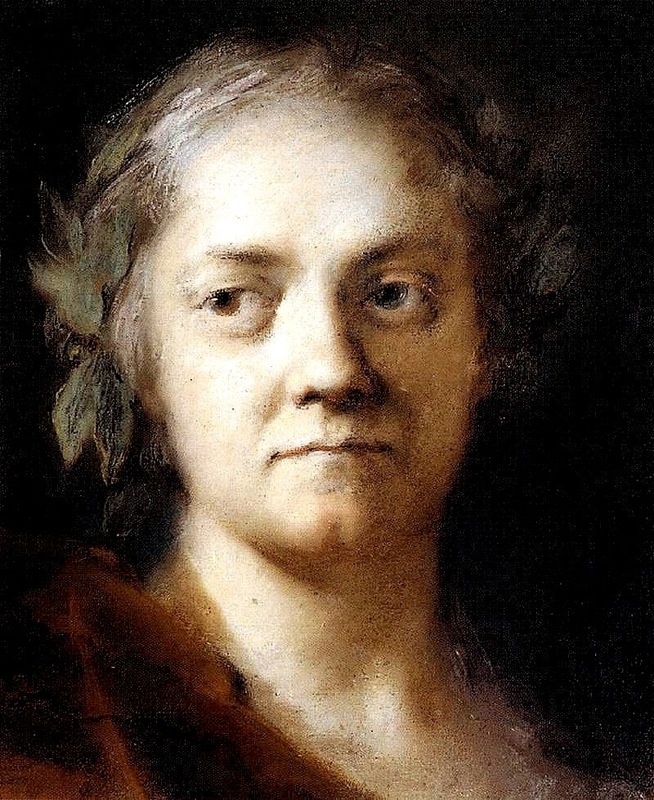 Their sister, Anne, was the mother of Claude Michel, known as Clodion, who received his early training in the studio of his uncle Lambert-Sigismund Adam. The family came from the town of Nancy (northeastern France). Are you still with me, or did you get hung up on one of the branches of this highly sculptural family tree? Lambert-Sigisbert Adam was born in 1700, which at least makes keeping track of his age at different points in his career quite simple. 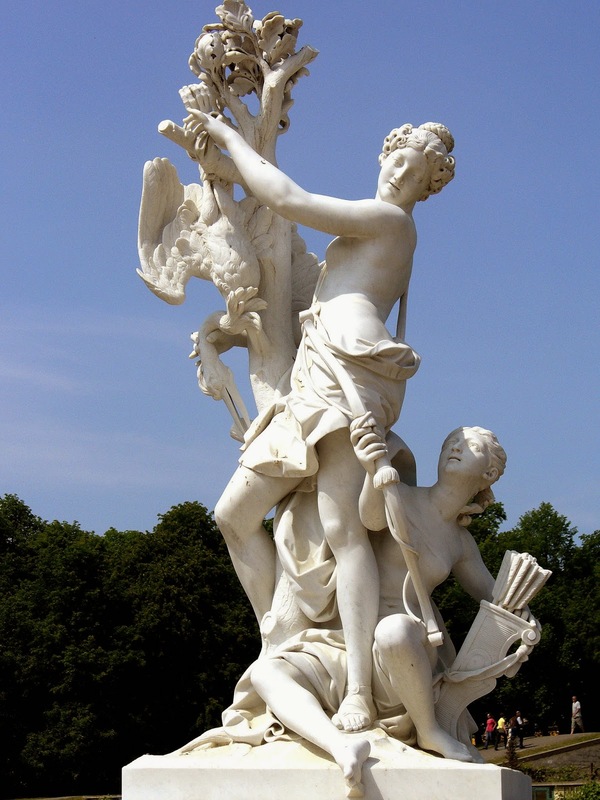 In 1723 (when he was twenty-three) Lambert won the Prix de Rome, not by creating a sculpture but by restoring one, a fragmented Roman group called Achilles and the Daughters of Lycomedes. The Prix de Rome (prize of Rome) meant a year's all-expenses-paid stay in the "Eternal City" studying Roman art (though by that time in was mostly Renaissance art). There, Adam no doubt became familiar with the work of Bernini and other Baroque masters of the mallet and chisel; though in associating Adam with the Baroque it becomes necessary to add the word "late" before the term in that there is a distinctly Rococo element in all he did (the evolving style at the time). Adam apparently liked Rome, he was still there in 1732. That's when he was one of sixteen sculptors to submit plans in the competition for the redesign of the city's famed Trevi Fountain. He won (unanimously, in fact). However, the Roman art community was outraged that a foreigner should be chosen for such a prestigious commission. The decision of the judges was apparently "not final". 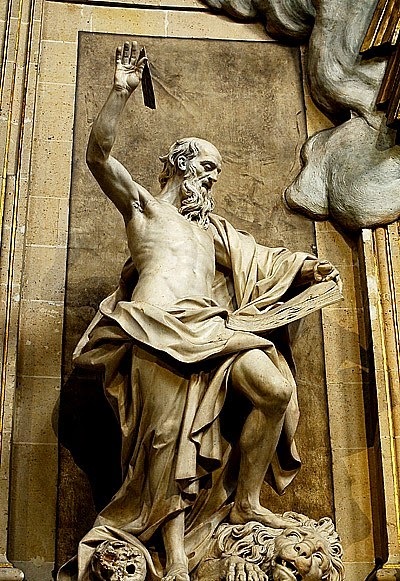 They awarded the commission to Alessandro Galilei, only to strip him of the prize because he was a Florentine, thus allowing Nicola Salvi and his student, Luigi Vanvitelli the honor. To save face, Adam admitted he'd not sought permission from the director of the French Academy to compete, which brought to an end his prolonged "studies" in Rome. 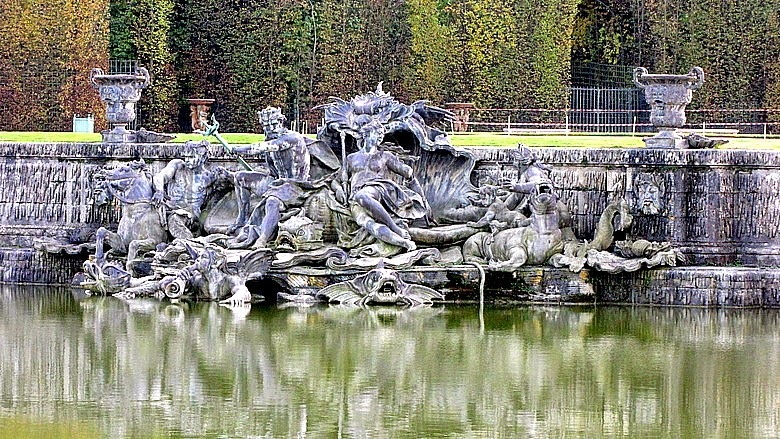 Back home in Paris around 1737, Adam created a model for the sculptural group The Triumph of Neptune and Amphitrite (above) which was later cast in lead for the Neptune Basin at Versailles. It was seen as such a triumph that Adam never again had to worry about where his next franc was coming from. Elected to the French Academy the same year, Adam did a portrait bust or two (three, actually) but his academic ticket to prosperity had bigger things written on it. 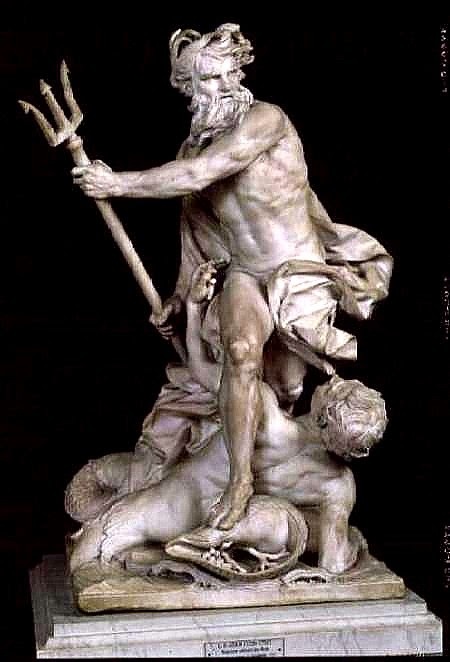 The Triumph of Neptune stilling the Waves (top) in 1737, found its place in the Louvre (then the home of the French Academy). In the following years, his work took its place in the imitation Versailles palaces popping up all over Europe until his death in 1759. Tastes in painting and sculpture change, and nowhere more so than during the political, cultural, and philosophical upheavals in France during the second half of the 18th-century. 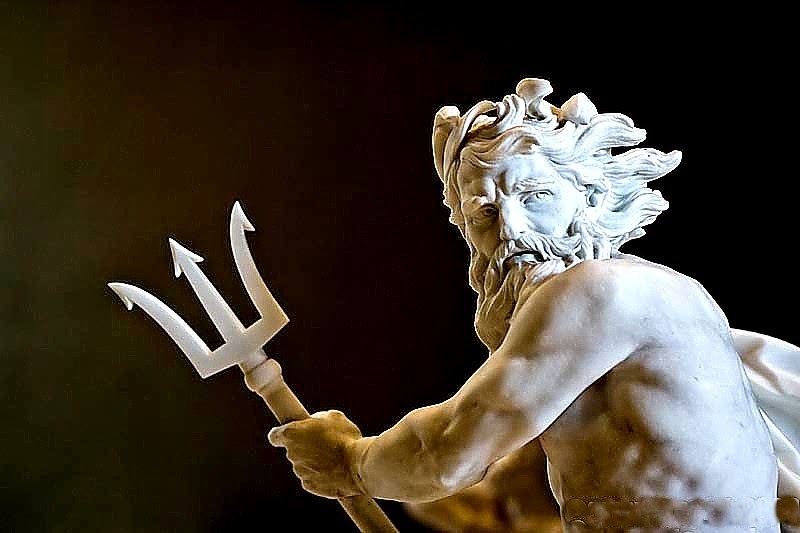 The next generation of artists and critics considered Adam's work too "Berniniesque" and in fact, gave only grudging admiration for Bernini himself, and his highly theatrical Baroque style. Ironically though, in architecture, the Baroque continued to dominated well into the next century eventually evolving into the Beaux-Arts style (which was, in fact, mostly Baroque by a French name). 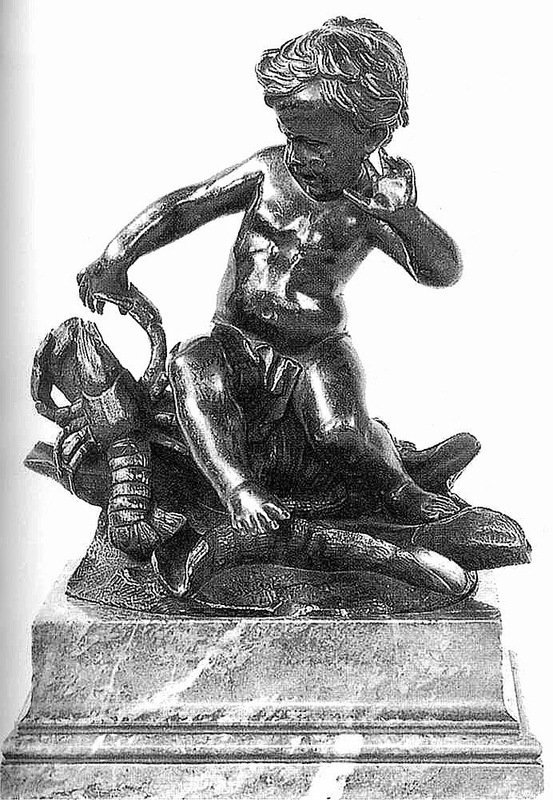 Child Pinched by a Lobster, 1740, Lambert-Sigisbert Adam--OUCH!